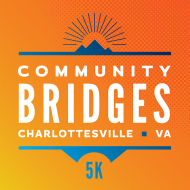 As part of President Ryan’s inauguration weekend, UVA is hosting a Community Bridges 5k Run/Walk. To demonstrate the University’s commitment to a strong nonprofit sector, CNE is the primary beneficiary of proceeds for this race, and all participants are invited to designate half of their registration donation to a CNE member organization! Member agencies do not need to do anything to receive this money; organizations are listed on a drop-down menu for race registrants and UVA will process payments after the race. Feel free to spread the word! In coordination with the Run/Walk, there will be a Celebration of Service event starting at 9.30 am at the UVA Amphitheater. All nonprofits are invited to host a table to share their mission, build awareness, sign-up volunteers, advertise their CVC code, and meet other organizations and community members. Tables are limited so they will be assigned on a first come, first served basis. To express interest in hosting a table, contact Richard Willis, rlw9ss@virginia.edu. Following the Run/Walk and during the Celebration of Service, free food and drinks will be provided for attendees. Finally, CNE members are encouraged to sign up to volunteer along the race route or to join in the fun by walking or running for free. To express interest in volunteering or participating as a runner/walker fill out this online form. As with all member benefits, this offer extends to any staff, board members, and volunteers with your organization. Nonprofit Run/Walk teams are encouraged — a fun team-building opportunity. Please engage in this event that brings together the University and nonprofit community in a new and meaningful way.